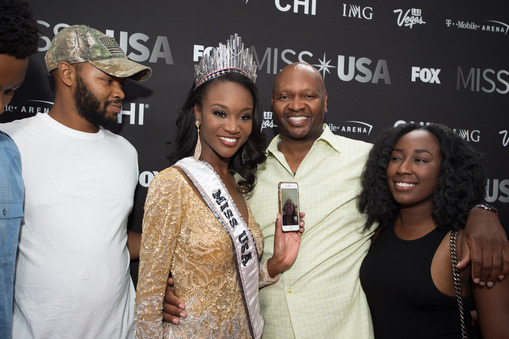 The newly crowned Miss USA 2016, Deshauna Barber has a moment with Miss USA 2015 Olivia Jordan after the 2016 MISS USA® Competition. 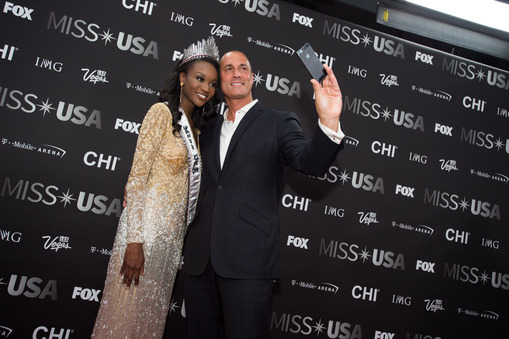 The newly crowned Miss USA 2016, Deshauna Barber and Nigel Barker take a selfie on the red carpet after the 2016 MISS USA® Competition. 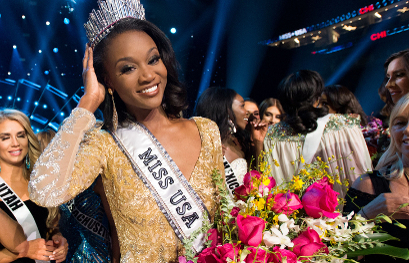 The newly crowned Miss USA 2016, Deshauna Barber walks backstage after the 2016 MISS USA® Competition. 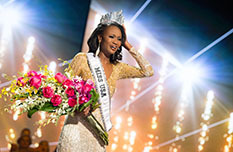 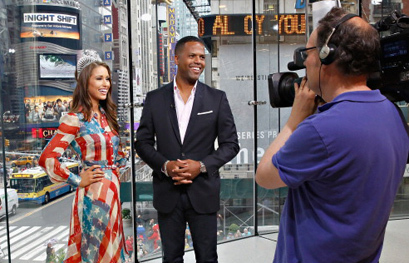 The newly crowned Miss USA 2016, Deshauna Barber poses for a photo on the red carpet with Telecast Judges Joe Zee, Crystle Stewart, Nigel Barker, Laura Brown, and Ali Landry after the 2016 MISS USA® Competition. 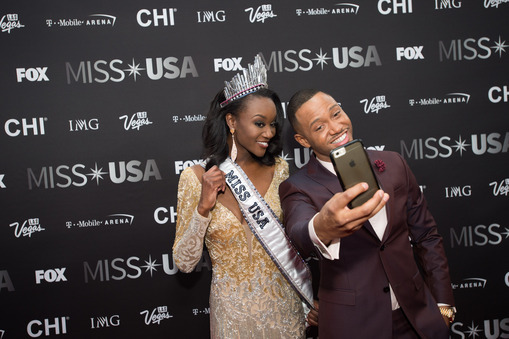 The newly crowned Miss USA 2016, Deshauna Barber and Terrence J take a selfie on the red carpet after the 2016 MISS USA® Competition. 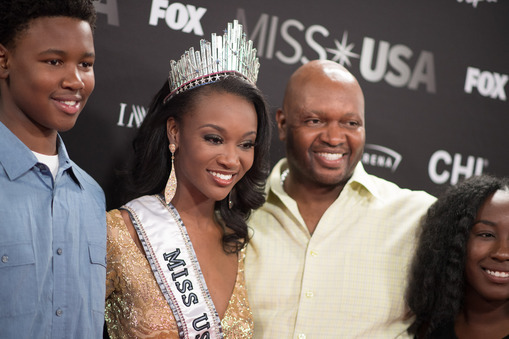 The newly crowned Miss USA 2016, Deshauna Barber poses with her family on the red carpet after the 2016 MISS USA® Competition. 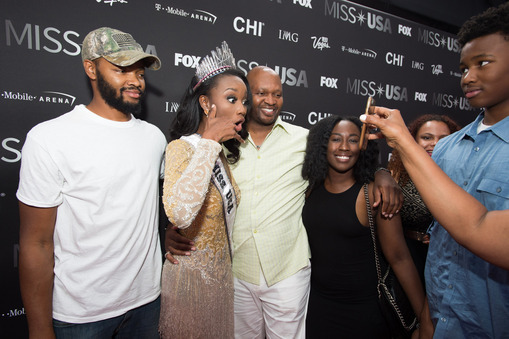 The newly crowned Miss USA 2016, Deshauna Barber shares a moment with her family on the red carpet after the 2016 MISS USA® Competition. 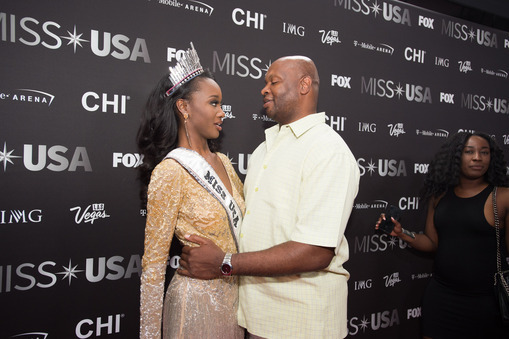 The newly crowned Miss USA 2016, Deshauna Barber shares a moment with her father on the red carpet after the 2016 MISS USA® Competition.